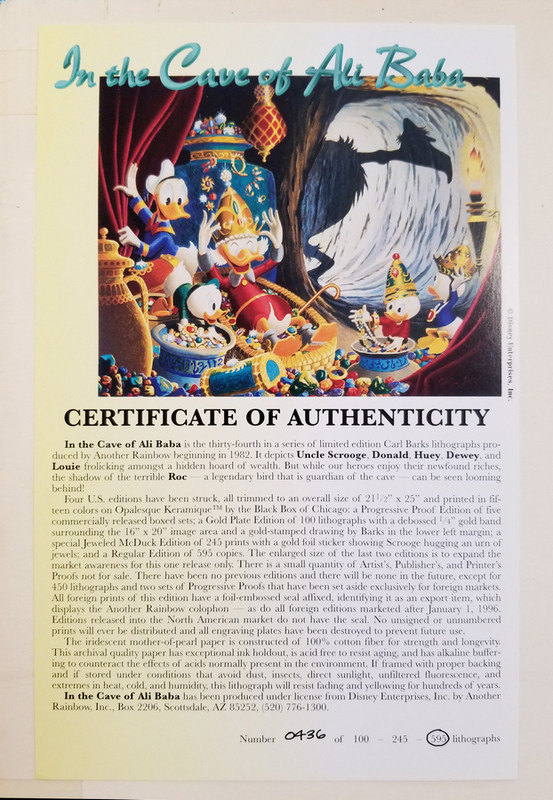 This is a limited edition print entitled "In the Cave of Ali Baba" featuring imagery of the classic Walt Disney Studios characters, Donald Duck, Scrooge McDuck, and Donald's Nephews. 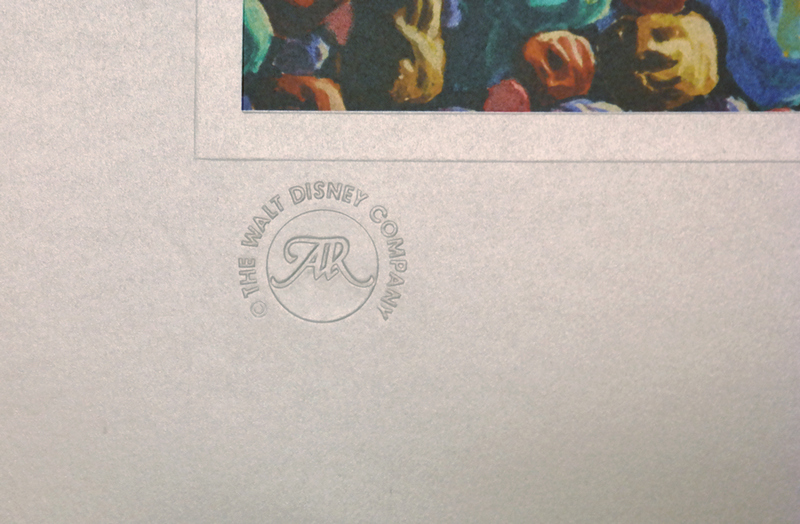 It depicts Uncle Scrooge, Donald, Huey, Dewey, and Louie frolicking amongst a hidden hoard of wealth. While our heroes enjoy their newfound riches, the shadow of the terrible Roc, a legendary bird that is the guardian of the cave, can be seen looming behind. 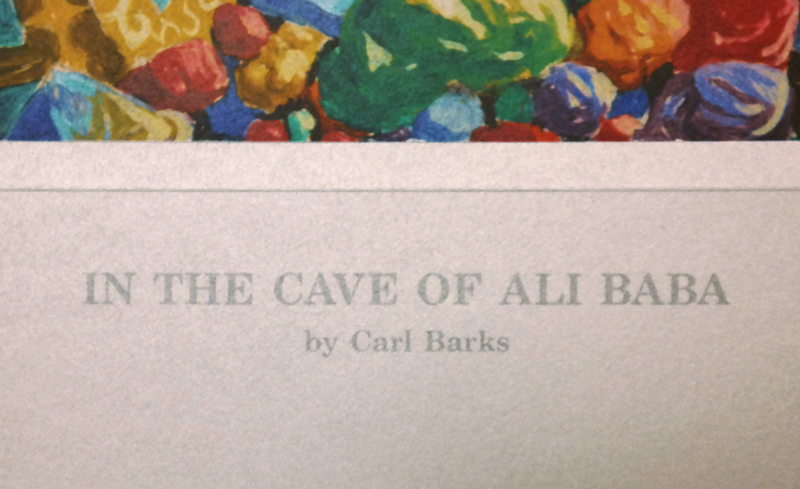 In the Cave of Ali Baba is the thirty-fourth in a series of limited edition Carl Barks lithographs produced by Another Rainbow beginning in 1982. This print is numbered in an edition of 595, and measures 21.5" x 25" overall and is printed with 15 color process on Opalesque Silk paper in a regular edition of 595. The image area measures 16" x 20" and the print is in fair to good condition with denting and wrinkling around the margins of print, not affecting the actual image.